We have launched a new promotion scheme, FREE SHIPPING on all Pen orders. 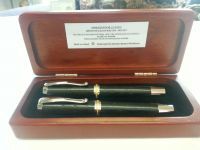 No Special codes, or special offers to special customers, Just FREE shipping on all pen orders to all customers! You have nothing to do, we have removerd all shipping costs ao ALL pen products. SO, Go Ahead, Order a PEN!! If you order an OTHER item shipping will be added for that Item.